Cromwell’s reputation is considered by many to have been significantly blackened as a consequence of what happened in Ireland in the forty weeks from August 1649 to May 1650. Biographers of Cromwell have differed on this subject and the truth of what happened is often obscured by myth and legend. It served the interests of both sides at the time to exaggerate the outcomes of Cromwell’s Irish Campaign, and the axiom that truth is the first casualty of war was as applicable in the 17th century as in the 21st. 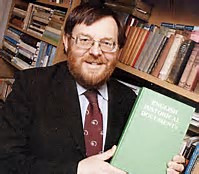 In May 2000 on the 350th anniversary of Cromwell’s return from Ireland, John Morrill, Professor of British and Irish History at the University of Cambridge, and a Past President of the Cromwell Association, contributed an article entitled ‘Was Cromwell a War Criminal?’ to the first issue of the BBC History Magazine. With his kind permission the full text of the article is reproduced here. The year 1649 was a climacteric watershed. The Civil War in England between 1642 and 1646 had been fought with restraint. Many thousands had died, the vast majority in hot blood. The number killed after they had surrendered was no more than five per cent. When civil war broke out again in 1648, it was different. The Parliamentarian Generals – Sir Thomas Fairfax and Oliver Cromwell – were clear that God had given victory to the better cause. Anyone who sought to overturn that victory was disobeying God. The King’s execution in 1649 was the culmination of a pattern that saw the Royalist leaders in the second Civil War executed. A new ruthlessness was born. The ‘curse of Cromwell’ – the memory of his time in Ireland – hangs over Anglo-Irish relations still. The 400th anniversary of Cromwell’s birth on 25 April 1999 proved highly contentious. Irish groups picketed exhibitions marking the event. The Catholic community of Huntingdon boycotted the commemoration of his birth there. I was myself assaulted and received death threats. The depth of hatred that still exists in Ireland is matched only by unawareness in non-Catholic English circles of what Cromwell did in Ireland. I am reminded of GK Chesterton’s remark that the tragedy of the English conquest of Ireland in the 17th century is that the Irish can never forget it and the English can never remember it. Cromwell returned from Ireland 350 years ago this month. Should we extradite him across time to face the tribunal of history on charges of atrocity and ethnic cleansing in Ireland? We try to make contemporaries outside our culture live by the highest standards of our culture. Can we not do the same with those within our culture but outside our time frame? Cromwell was sent to Ireland because it was in chaos. The demands of English viceroys led to violent rebellion; rebellion led to the confiscation of rebels’ land and the introduction of English and Scottish planters and settlers. The early Stuart period saw a significant drop in the levels of violence, but no diminution in levels of resentment and injustice. ln the 1630s Charles I’s Lord Deputy, Thomas, Lord Wentworth, later the Earl of Strafford, was sent to Ireland to make it less of a drain on the English exchequer. To that end, he granted more freedom of religion to the Catholics, and raised revenues by making the English settlers disgorge their ill-gotten gains. When Strafford was attainted and executed by the Long Parliament, the Protestant colonists sought to take their revenge; and the Catholics faced renewed persecution. With English government paralysed in the autumn of 1641, they seized the opportunity for a pre-emptive strike. Ulster’s dispossessed Catholics rose in rebellion, and as many as 3,000 Protestants were killed and as many again fled to England. Their horror stories, dreadful enough, were grotesquely exaggerated by the English press, and an Anglo-Scottish army was despatched to protect the remaining British-protestant communities. To pay for this army, Parliament passed an Act guaranteeing one fifth of the landmass of Ireland to those who lent £2 million – just over 1,000 socalled ‘Adventurers’ raised the full sum. Cromwell was to make good their claims. The rebellions in October 1641 launched the Irish theatre of ‘the war of the three kingdoms’. For the next seven years, warfare throughout Ireland was sporadic but vicious. The diary of an anonymous English officer in the winter of 1641-2 includes sickening detail of how he and his fellows shot or hanged civilians and looted and burned the villages they passed through. One British historian says the diary displays ‘the casual cruelty of an SS Einsatzfuhrer on the Russian Front in 1942: It can be matched by confessed activities of the same kind on the other side; although the worst atrocities were perpetrated by the English on the Irish. By the time of the Regicide in January 1649, Ireland was more devastated, exhausted and bitterly divided even than England. The Royalists, commanded by the Marques of Ormonde, were in uneasy alliance with the Catholic Confederate groups. An army loyal to the Long Parliament controlled the Dublin area, but more than 80 per cent of Ireland was in the hands of those hostile to the English Revolution. Cromwell’s expeditionary force was intended to reverse this situation by incorporating Ireland into the English Commonwealth, placing it firmly under direct rule from metropolitan England. It was also to expropriate enough land to both pay the costs of the conquest and reward English speculators and demobbed soldiers. Cromwell was in Ireland from 15 August 1649 to 26 May 1650. In that short time he accomplished a more complete control of Ireland than had been achieved under any English monarch; and it led on to the most ruthless process of ethnic cleansing that there has ever been in western European history, with the arguable exception of the Norman Conquest. In the next five years perhaps three-quarters of the land held by predominantly Catholic Irish people was confiscated and redistributed to Protestant Englishmen. At a stroke, the proportion of the land of Ireland held by the former fell from three-fifths to one sixth. Cromwell spent his time securing control of the east of Ireland, from Drogheda, 30 miles north of Dublin, to Cork in the south. When he left, only four major Irish towns remained to be taken: Waterford, Limerick, Athlone and Galway. His successors, first his son-in-law Henry Ireton, and then Charles Fleetwood, were left with a messy but inexorable mopping up operation. At the heart of Cromwell’s conquest was his storming of Drogheda and Wexford. They represent a grim legend. In Drogheda more than 3,000 were killed; in Wexford not less than 2,000. They died from artillery bombardment, from gunshots, from sword or dagger thrust, or by bludgeon – Sir Arthur Aston, commander of the Drogheda garrison, was beaten to death with his own wooden leg. Many, perhaps most, were killed in hot blood. But others were killed in cold blood after they had surrendered or been captured. Cromwell ordered none in military or religious orders to be spared. So all those thought to be soldiers, priests and Franciscan friars were summarily executed. In addition there was the burning alive of those who took refuge in the tower of St Peter’s Church. Rather than starve or buy them out with a promise of quarter, Cromwell’s men piled the wooden pews of the church under the tower and set fire to them. Cromwell’s reference to the 1,000 killed in or near St Peter’s is difficult to square with the military accounts, and significant numbers of civilians must have been included in that figure. A week later Cromwell wrote that he was sending a list of the officers (he names nearly 100), and notes the numbers killed beyond that were 220 cavalry men ‘2,500 foot-soldiers, besides staff officers, surgeons &c and many inhabitants.’ The issue is not whether civilians were killed in hot blood, for it defies common sense to believe an army can storm a town and clear it house by house under sniper fire without many civilian casualties, but whether civilians as well as soldiers and clerics were killed in cold blood after the town was subdued. Cromwell knew that a large part of the garrison and all its senior officers were English Catholics; and that the rest were drawn from Ormonde’s regiments, whose first duty in the 1640s had been to fight against the Irish rebels. The following quotation therefore represents Cromwell’s attribution of racial guilt to all the Irish for the slaughters of 1641, or a judgment on the civilian casualties, whom he (wrongly but plausibly) believed had been caught up in the rebellion and massacres of 1641-2. ‘I am persuaded that this is a righteous judgment of God upon these barbarous wretches, who have imbrued their hands in so much innocent blood, and that it will tend to prevent the effusion of blood for the future, which are the satisfactory grounds for such actions, which otherwise cannot but work remorse and regret’. The euphemisms here are chilling. And he is unambiguous that atrocity is to be followed up by ethnic cleansing. By August 1652, the reduction of Ireland had effectively been completed. To all intents and purposes, Ireland was at the mercy of the British state. In that month Parliament passed the Act of Settlement proclaiming that it was not their intention to ‘extirpate the whole nation’ but to pardon ‘all husbandmen, ploughmen, labourers, artificers and others of the inferior sort: and to punish those of higher rank ‘according to their respective demerits: But great swathes of people – at least 100,000 – were ‘exempted from pardon of life and estate: The Act provided for the banishment of perhaps as many again; the rest were to lose all their estates and property and were only to be allowed land equivalent to onethird of the value of their current estates ‘in such place in Ireland’ as Parliament would decide – in the event in Connacht or County Clare, except that a sentence of death lay against any of them found within a mile of the coast or of the river Shannon. All clergy and friars were banned from Ireland on pain of death or enslavement. In three of the four provinces of Ireland – Ulster, Leinster and Munster – there were to be no Catholics at all. This was ethnic cleansing on a scale undreamt of by Slobodan Milosevic. But deciding who was to be punished proved beyond the resources of the English state. Thus probably only 200 people were executed under the Act. Only 200? – a long way short of 100,000; but still 200 people executed under the legislative tyranny of the English state. The case against Cromwell is that he behaved in Ireland radically differently from how he behaved in Britain. In the English and Scottish wars there is nothing remotely on the scale of the massacres at Drogheda and Wexford. The death rate in military engagements in England was usually between five and 10 per cent. At Drogheda and Wexford, it must have been 80 per cent. By Cromwell’s own admission, these included non-combatants killed in the knowledge that they were non-combatants. There is detailed testimony from Royalist sources that several Protestant officers surrendered on quarter and were subsequently killed. And there is some credible Catholic testimony from Wexford of atrocities against civilians after the town had been secured. The Catholic Bishop Nicholas French, who was near the town, gave a vivid account of scourgings, tortures and hangings of unarmed priests, friars and civilians. But above all, Cromwell’s own language, revelling in the death of his enemies, demonstrates easiness with the violence he unleashed. The Act of Settlement was a logical consequence of the conquest he led. Fairfax had refused to lead the Irish expedition. Cromwell undertook the mission, knowing full well what the outcome would be. The case for the defence is firstly, that what Cromwell did in Ireland was in accordance with well-established military codes of practice; that he was one of the most restrained of all the commanders in Ireland in the early modern period; that the denial of quarter to the garrisons at Drogheda and Wexford was intended to prevent future bloodshed, and that they succeeded in doing so; that civilians killed were, in modern terms, collateral injuries occasioned by the circumstances of a town being stormed; and finally that he cannot be held accountable for later atrocities in Ireland in the 1650s. On 10 September 1649, a week after arriving at the town’s walls, Cromwell summonsed the Governor of Drogheda to surrender within 24 hours. His message was clear: no surrender, no quarter. This was fully in accord with the laws of war. The granting of quarter to those who laid down their arms in the English Civil War was the exception to the general European rule. Indeed, the tradition in Ireland was to deny quarter even when it had been promised. Cromwell cannot be called a war criminal in those circumstances. Immediately after Drogheda, Cromwell summonsed DundaIk to surrender and, when it did, kept his troops under tight control. By the time he reached Wexford, three more towns had surrendered on terms to himself or his officers. Governor Synott of Wexford knew what to expect. Cromwell’s offer to him was to surrender the town and his weapons, whereupon the officers would be imprisoned, the common soldiers free to return to their homes, and the citizens guaranteed freedom from plunder. Or to refuse, and, under the laws of war, put all life and property at Cromwell’s mercy. There is a dispute about whether the negotiations – which the Governor was spinning out in the hope that relieving forces might arrive – had formally been broken off when Cromwell stormed the town. The consequences of the storming were according to the laws of war then prevailing. 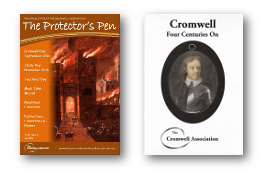 The second line of defence is Cromwell’s general restraint. He was in Ireland for nine months and took 28 towns. He denied quarter and sacked only Drogheda and Wexford; he offered generous terms elsewhere and honoured them to the letter whenever they were accepted. Most remarkable was his restraint at ClonmeI. He lost more than 2,000 men in a foiled assault there. He then took the town on terms and honoured them, although perhaps 200 retreating soldiers were chased and killed. Thirdly, when he wrote that the sack of Drogheda would ‘tend to prevent the effusion of blood for the future’, he meant it. It may be that Drogheda and Wexford were his Hiroshima and Nagasaki: the application of an economy of evil to save more lives in the long run. In the 17th century, as in the 20th century, that is a morally contested view. But it has not led to trials for war crimes. The intention was honourable. Fourthly, the evidence for civilian deaths is far less clear than the evidence of the killing in cold blood of disarmed and surrendered combatants. There is only circumstantial and hearsay evidence that civilians – other than clergy – were killed in cold blood. To convict Cromwell of war crimes requires evidence of civilians killed in cold blood. Fifthly, there is a tendency to blame Cromwell for all the horrors in Ireland in the 1650s. There were certainly atrocities after his departure. General Fleetwood introduced a policy of reprisals which pre-echoes Nazi cruelty. If an English soldier was killed by snipers or Tories (bandits), then the nearest community was given 24 or 48 hours to hand over those responsible for summary execution, or they were all seized and transported into slavery. The whole English political and military establishment in Ireland can be blamed for this. But Cromwell cannot. There is no evidence he approved of the policies and plenty of evidence that he sent his son, Henry Cromwell, to govern Ireland in order to mitigate their severity. Furthermore, he worked to ameliorate the effects of the Land Settlement, abandoning the policy of mass transportation. While Protector, no one was executed under the Act of Settlement, and the policy of enforced movement to the west was largely abandoned. There is a case for saying that when Cromwell was Lord Protector, he treated former Irish royalists and Confederates much as he treated former English royalists and Catholics. But since there were proportionately far more of them in Ireland, their continued suffering is more evident. Verdict: a soldier of his time? Cromwell failed to rise above the bigotry of his age in respect of the Irish people. He did rise above it in other respects (especially in his commitment to religious liberty in Britain). As a general he behaved differently in Ireland from how he behaved in England and Scotland. There were massacres at Drogheda and Wexford in hot and cold blood. Cromwell’s contempt for the Catholic clergy meant that he permitted them to be slaughtered. But whether he broke the laws of war then prevailing, and whether he was anything like as brutal as many others in the Irish wars, whether indeed he should be blamed for things much worse than what happened in Drogheda and Wexford, is still difficult to establish.